The Yesha Council released a statement in response to the death of Shimon Peres. 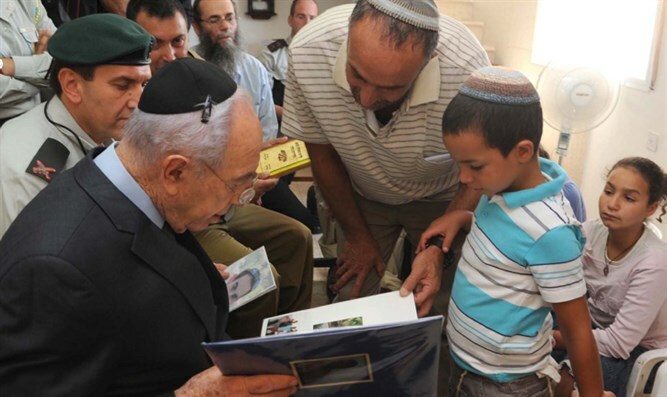 “In this hour we remind ourselves of Peres’ greatest contributions to lay the groundwork for Israel’s defense since its inception, and his great contribution to the establishment of Jewish settlements in Samaria,” the statement read. “Now is the time to remember his good deeds and his contribution to the Jewish people and the State of Israel. We will mourn him with all of Israel, and we will aim to continue his vision of building this state and bringing true peace to all its citizens,” Arnon added.